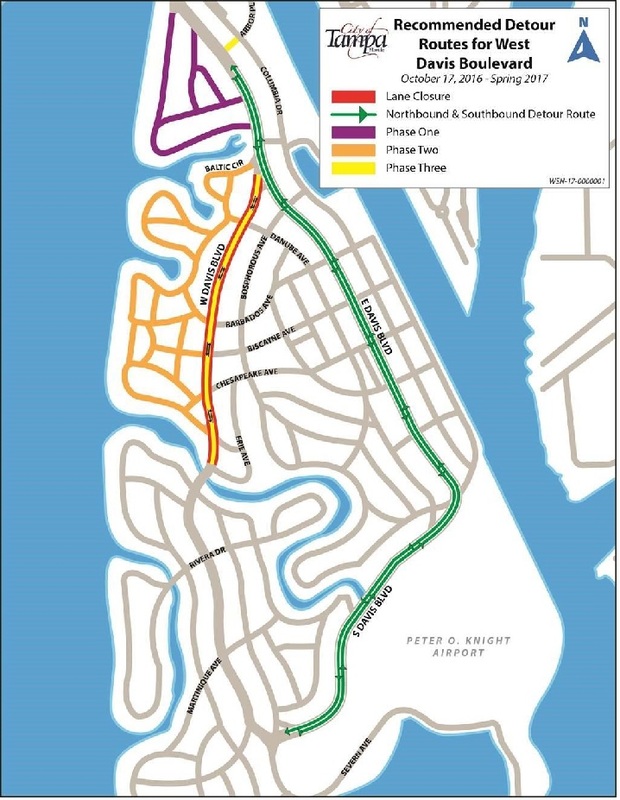 WASHINGTON, D.C. – (RealEstateRama) — Several residential roads on Davis Islands will be paved beginning on Monday, October 17, 2016, as part of City’s Resurfacing Project. The paving will be completed in three (3) phases. A portion of W Davis Boulevard between E Davis Boulevard and Blanca Avenue and Arbor Place between Davis Boulevard and Columbia Drive will be closed as part of the phase three (3) paving work. During phase three (3), the City contractor will temporarily close lanes daily on W Davis Boulevard between E Davis Boulevard and Blanca Avenue and on Arbor Place between Davis Boulevard and Columbia Drive. It is anticipated that the entire paving project will be completed by Spring 2017.